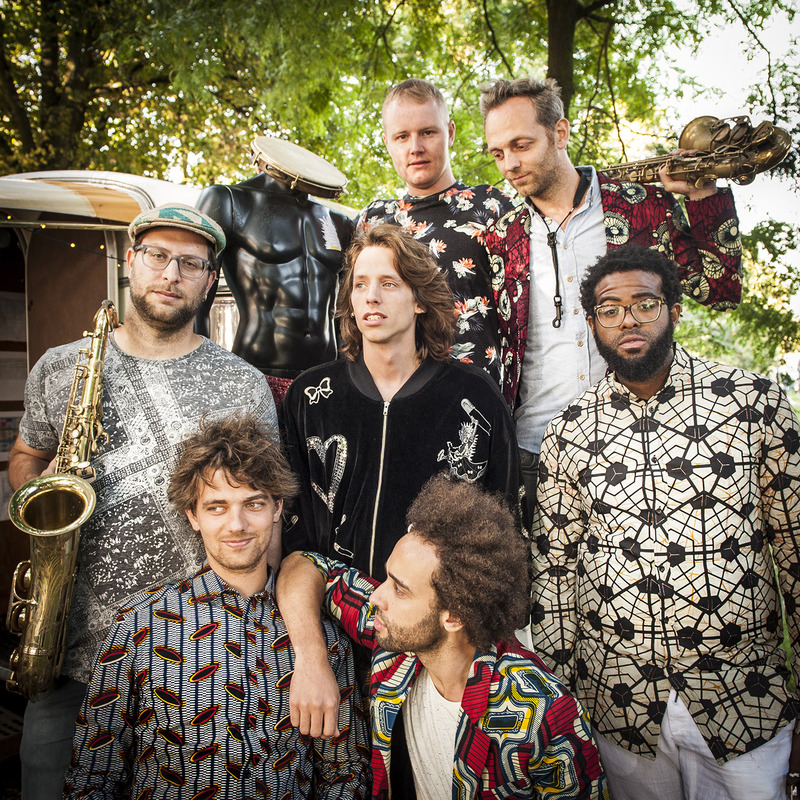 Floris van der Vlugt (alto saxophone); Etay Waisman (tenor saxophone); Valentijn Bannier (guitar); Niels Broos (keyboards); Daniel Schotsborg (bass); Abe van der Woude (drums); Steven Schutrup, Vernon Chatlein (percussion). KOFFIE was first heard six years ago in Paradiso where they performed a tribute to none other than Fela Kuti. This led to a number of bookings for the Afro-funk group, including at the Oerol Festival and the Dunya Festival. But the band's real breakthrough came in 2013 when they released not one but two albums. The Amsterdam-based group then went on a national tour that ended up lasting three years. During that time they played at many festivals such as North Sea Jazz and Zwarte Cross. KOFFIE's strength lies in the diversity of the band members who come from both pop music and jazz. Understandably, the band's recent new album Huntu is bursting with Latin and funk grooves, making it difficult to categorize. The music is primarily driven by improvisation while always remaining rhythmical, steamy, uplifting and funky.